Miguel's El Dorado Cantina serves up Mexican food—somewhat of a rarity in Japan. Even more rare are the freshly made tortillas. Although the food is reasonably tasty it's not particularly authentic, and definitely not spicy (bear in mind this opinion comes from someone who was raised in the Southwestern part of the United States). There is loads of seating here, spread out over a couple of floors (and thankfully there is an elevator to take you to the lower level should you so desire—helpful if you're carrying a tray of drinks and fajitas). Seats are available indoors and out. 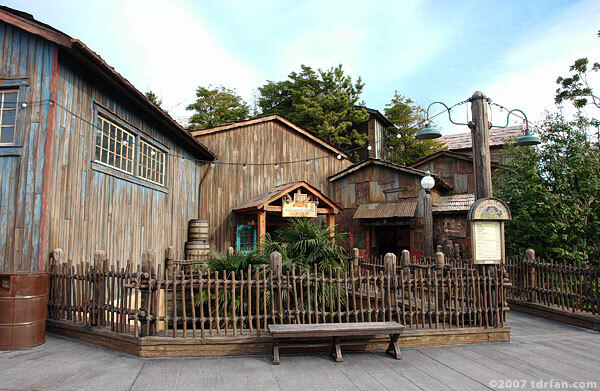 I prefer the outdoor seats, as the atmosphere indoors here is not nearly as nice as the scenery you'll find around the Lost River Delta area.